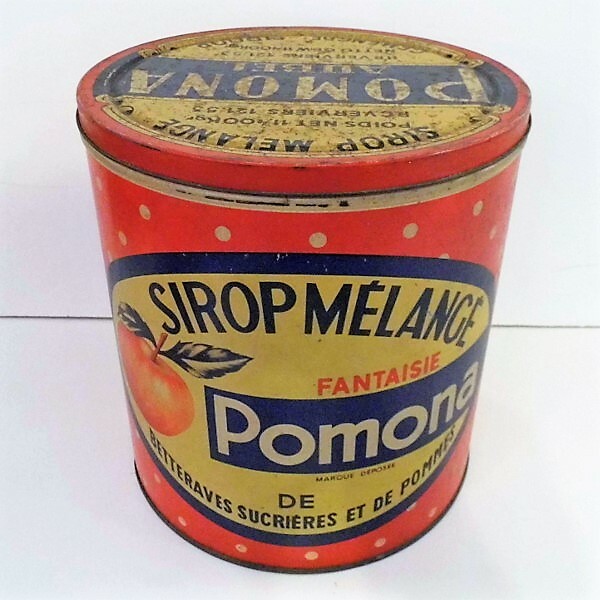 A large 1960s Vintage Syrup Tin from Belgium. 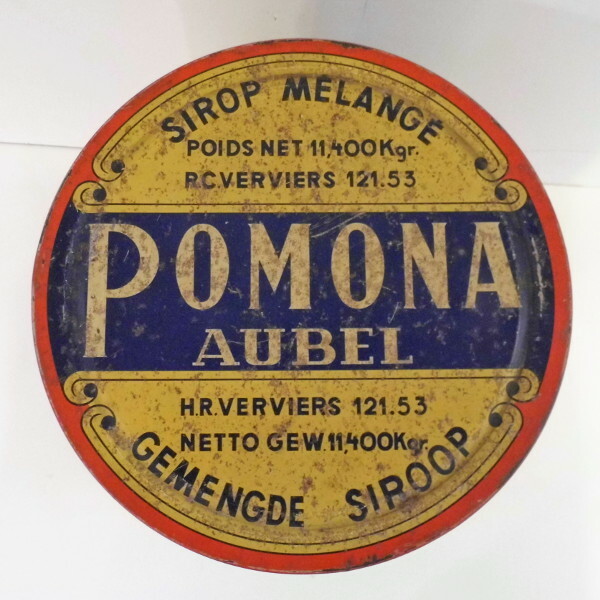 A large and colourful tin for Pamona (of Aubel Belgium )apple syrup, interestingly the tin is printed in both French and Flemish. 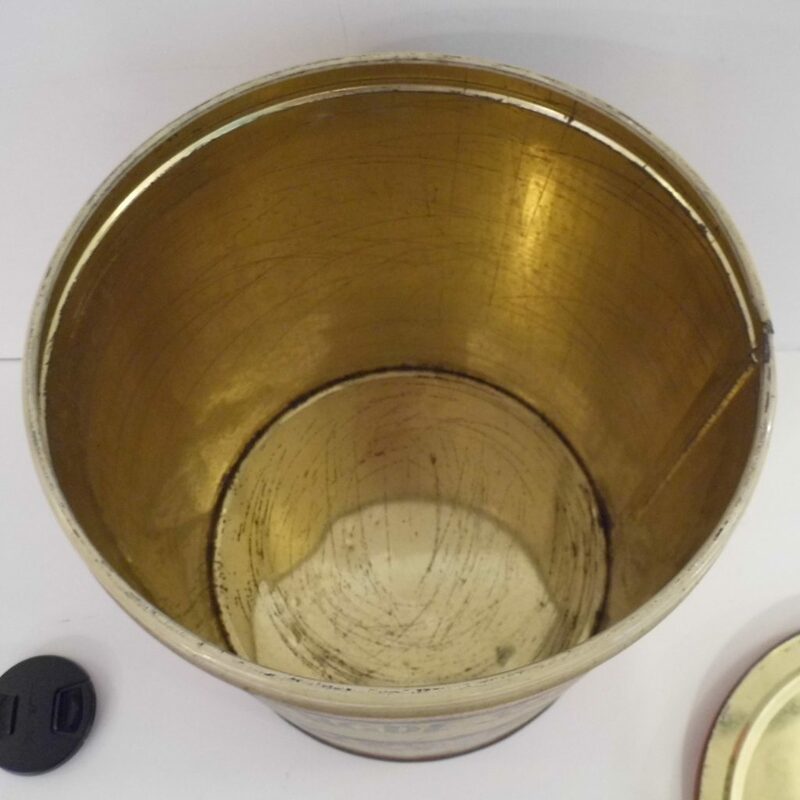 This tin is good vintage condition, a little faded and some wear to the gold finish inside but no dents or major issues. It would make a great tin for cookies or general storage.